From the towering peaks of the French Alps on one side to the picturesque terraced vineyards of the Lavaux region – now a UNESCO World Heritage site - on the Swiss side, the ‘grand old ladies’ of the lake exude the charm and romance of yesteryear. 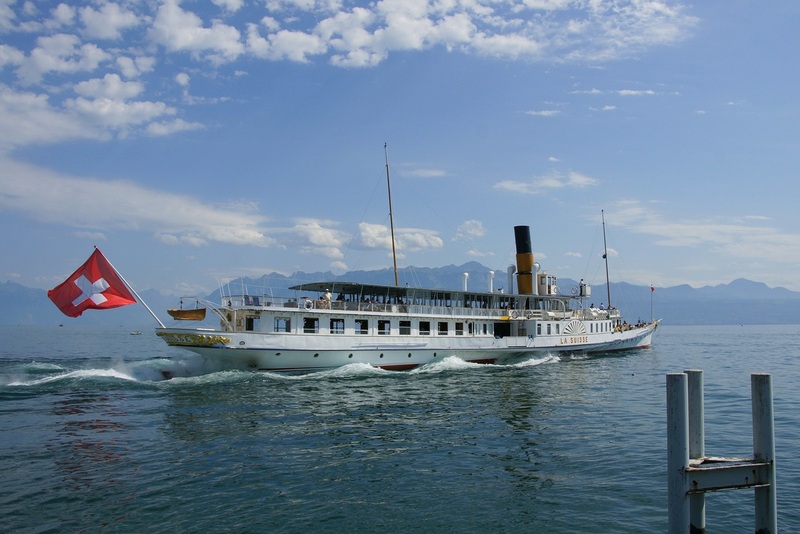 Now CGN (Company of Lake Geneva General Navigation) - which operates the historic steamboats - is undertaking a massive renovation of the world’s biggest Belle Epoque fleet. Some have been renovated from hull to stern. 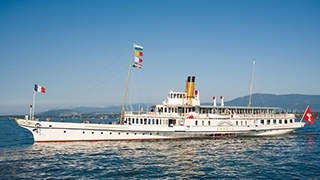 Today, there are six paddle steamers built between 1904 and 1927 operating regular services and private cruises on Lake Geneva – the flagship La Suisse (1910); veteran of the fleet, Montreux (1904); Simplon (1920) – boasting the most responsive steam engine of the fleet; Rhone (1927) - the last paddle steamer built in Switzerland; Savoie – now over 100 years-old; and Vevey (1907), which returned to service after an 18-month major facelift. 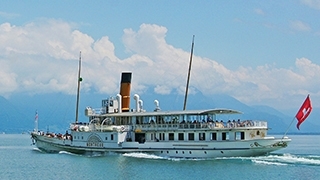 There are also two diesel electric paddle wheel vessels in the fleet – Italie (1908) and Helvetie (1926). “Our priority now is financing the next renovation of Italie - Vevey’s sister ship. 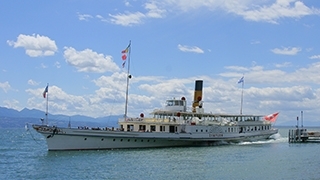 Later, once the Helvetie75 is renovated, the eight boats of the Belle Epoque fleet, which are classed as a national heritage, will once again navigate on the lake from 2016,” said Maurice Decoppet, president of the Friends of Lake Geneva steamers (ABVL), a non-profit association which seeks funds for the fleet conservation and maintenance service schedule. 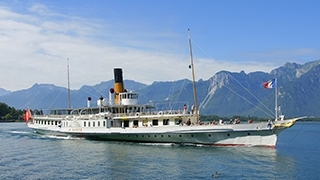 To date, through private and public donations of 24 million Swiss francs collected by the ABVL, seven of the eight boats have been partially or totally renovated. Decoppet, a former Swissair pilot for more than 30 years, said it cost 15 million Swiss francs to completely renovate La Suisse between 2007 and 2009. “Building a new boat would have cost the same amount,” he said. 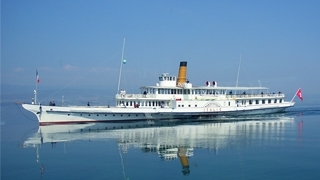 Tourist holiday traffic is operated daily by the 600-1000 passenger capacity steamers between April and October, with a limited service – mainly on Sundays – from November to March. 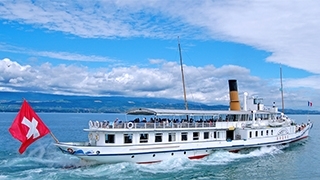 On the main route, they run from Lausanne and stop at Pully, Lutry, Cully, Vevey, Montreux and Chillon Castle and vice versa, with the oil-fired engines – once coal-fired – powering the boats along at up to 35 kilometres an hour. The city’s Olympic Museum is the top drawcard featuring the Games from the ancient to the modern. Cathy Freeman’s special shoes she wore to win the 400 metres gold medal at the 2000 Sydney Olympics are on show at the museum. They feature the colours of the aboriginal flag: black for the people; yellow for the sun; and red for the earth. A town of old world charm, with the second biggest marketplace in Europe after Lisbon, its tourist pulling power are tributes to Charlie Chaplin – a bronze statue on the lakeside and his former home now turned into a museum of the life achievements of ‘The Tramp’. With his baggy trousers and bowler hat, Chaplin kept a generation laughing during the dark depression. 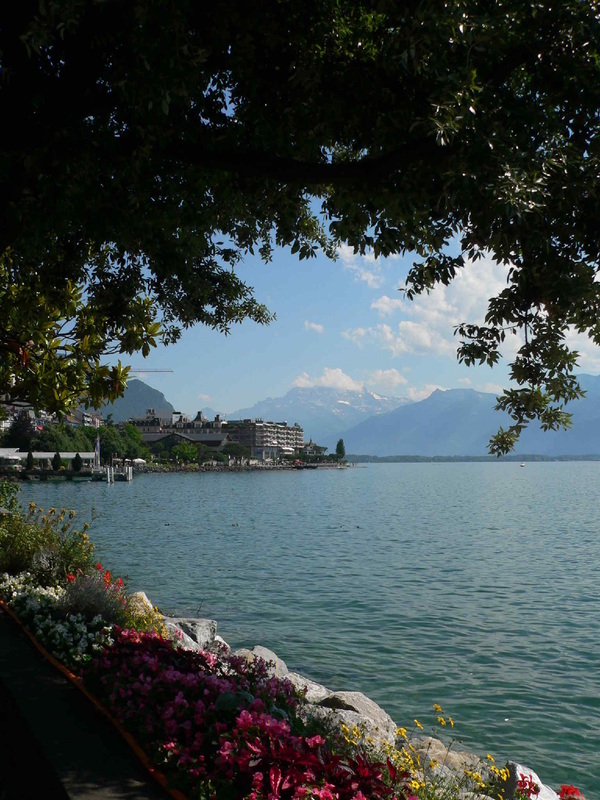 With its glitzy five-star hotels overlooking the lake, it’s a playground for the rich and famous, many of whom jet in during the summer months for Montreux’s renowned jazz festival – now its 47th year. In winter, Montreux’s Christmas market (December) is regarded as the most beautiful in Switzerland, attracting more than 220,000 spectators every year. The town is also the departure point for scenic trains that run throughout the year to the panoramic countryside and ski slopes.